Govs. Scott, Sununu Announce Joint Voluntary Paid Family Leave Plan For Vt. And N.H.
Vermont Gov. Phil Scott, left, joins New Hampshire Gov. Chris Sununu to announced their joint paid family medical leave plan at Schilling Beer Co. in Littleton, N.H., on Wednesday. Vermont Gov. Phil Scott and New Hampshire Gov. Chris Sununu have announced plans to create a bi-state voluntary paid family leave program. Scott said the proposal will help attract new workers to both states without the need to implement a state-mandated program. Last year, lawmakers in both Vermont and New Hampshire tried unsuccessfully to pass a paid family leave bill. That legislation faced strong opposition from Republican leaders because it mandated individual participation in the program. So the two states' GOP governors decided to team up to create a bi-state plan where participation would be voluntary. The recently unveiled proposal would provide workers with 60 percent of their salaries for a six-week period. The cost of providing this benefit is expected to be roughly $350 a year. It's an expense that employers could choose to share with their employees. 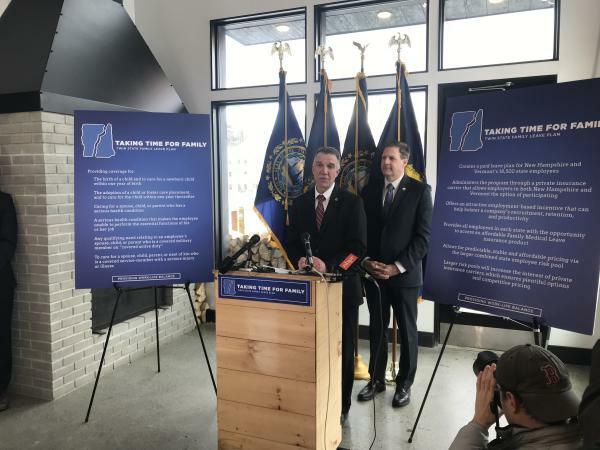 Speaking at a joint press event Wednesday, at a small brewery in Littleton, New Hampshire, Sununu said it makes a lot of sense for the two states to work together on this issue. "We're obviously very excited about this opportunity," Sununu said. "Not just for New Hampshire, but any time we can join with our partners in Vermont and create plans and opportunities that work for both. ... At the end of the day we're all part of the same community — we're all part of this northern New England community." Critics of the voluntary approach argue the program won't attract enough people to make it financially feasible. To deal with this concern, the bi-state proposal provides all 18,000 Vermont and New Hampshire state employees with this coverage as a new benefit. In Vermont, this will cost roughly $2.5 million a year — a cost that will be absorbed by state government. Sununu said including the state employees makes the new risk pool viable. "The larger combined state employee risk pools help makes the pricing much more predictable, much more stable, within the two states," Sununu said. "The larger risk pool increases the interest of private insurance carriers to bid for those opportunities." Scott said he viewed the plan as a good economic development tool. "Because we know these programs can help improve a company's ability to recruit and retain workers, which can also lead to increased productivity and profitability," Scott said. "And, most importantly, an accessible and affordable family leave program will help us attract young, working-age people looking to start their families." And Scott thinks this bi-state approach could serve as a national model. 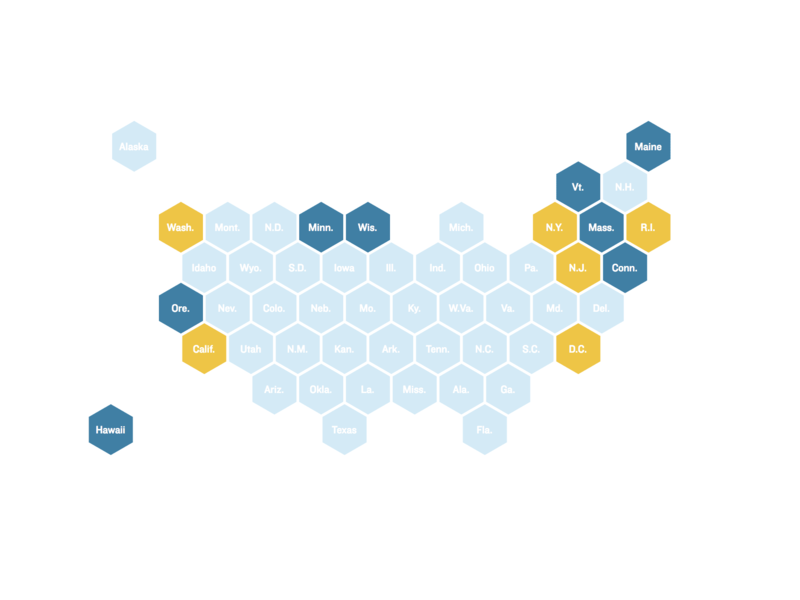 "If we're successful in each of our state Legislatures," Scott said, "we can establish a model and standard for the rest of the country that meets the calls for greater work-life balance." Scott urged Vermont lawmakers to keep an open mind about the proposal, and he plans to unveil the details of the plan in his annual budget address on Jan. 24. While the debate over whether or not Vermont should have a paid family leave program seems to be over — the Republican governor supports the idea now, and so do a majority of Democratic legislators — a significant question remains: Should the program should be voluntary, as Scott prefers, or mandatory? It’s a question Kristin Smith, research associate at the University of New Hampshire, has studied quite a bit. “And there really isn’t a good understanding of how many workers would opt in to a voluntary program,” Smith said. That's the case, Smith said, because there’s no precedent for a voluntary paid leave program of the sort that Scott and Sununu unveiled on Wednesday. “You need to have a large enough pool of individuals paying into that pool, and ... your pool has to have high-risk individuals and low-risk individuals,” Smith said. Make the program voluntary, and Smith said the people that are likeliest to opt in are those that are going to need some paid leave in the immediate future — like expectant mothers or fathers. “If that is what your pool is made of, then you’ll have people taking out of the program more than they’re paying in,” Smith said. 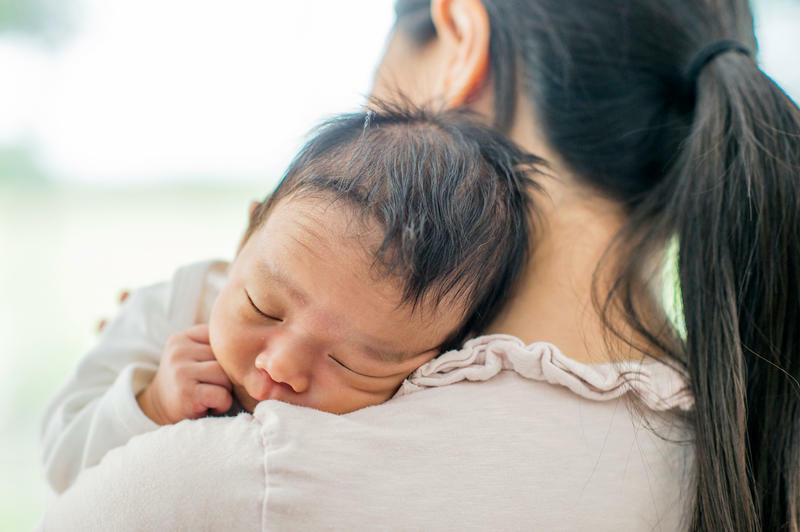 Vicki Shabo, vice president at the National Partnership for Women & Families in Washington, D.C., said a lopsided risk pool would inevitably sink the paid leave program. “So the premiums could be extremely expensive, the program itself could become insolvent,” Shabo said. Those high premiums, Shabo said, would also shut out the lower-income women and men that would benefit most from a paid leave policy. But Vanessa Brown Calder, with the Cato Institute, said not all workers want paid family leave — and, she said, not all of them need it. Aparna Mathur, a resident scholar in economic policy studies at the American Enterprise Institute, said a free-market approach to paid leave buy-in is fraught with risk. “So here’s my concern: If few people opt in … then how do you do you really sustain that program? You know, what happens to the costs faced by people who actually do opt in? Is the program going to be sustainable in the long run?” Mathur said. However, Mathur said, politics are part and parcel of any policy debate. And she said if a voluntary program is the only one that Republican governors are going to agree to, then it’s probably worth giving it a shot to see what happens. Scott vetoed a mandatory paid leave bill last year. Democratic lawmakers in Vermont will now have to decide whether to try to override another veto in 2019 — and risk getting nothing at all — or to give the voluntary program a chance. Clarification 1/17/19 10:05 a.m. This post has been updated to clarify how the $350 a year cost of the proposal for employees could be shared by employers. Paid time off to care for a new child or a sick family member used to be a part of the Democratic Party platform. Now, Republicans are making paid family leave a legislative policy. "Let's support working families by supporting paid family leave," President Trump urged Congress in his State of the Union address last month. Tax Credit Aims To Boost Availability Of Paid Family Leave, But Will It Work? Tucked into the new tax law is a provision that offers companies a tax credit if they provide paid family and medical leave for their lower-wage workers. Many people support a national strategy for paid parental and family leave, especially for workers who are not in management and are less likely to get that benefit on the job. But consultants, scholars and consumer advocates alike say the new tax credit probably won't encourage many companies to take the plunge. With many federal workers now losing hope that they'll get a paycheck this week, stress is mounting. 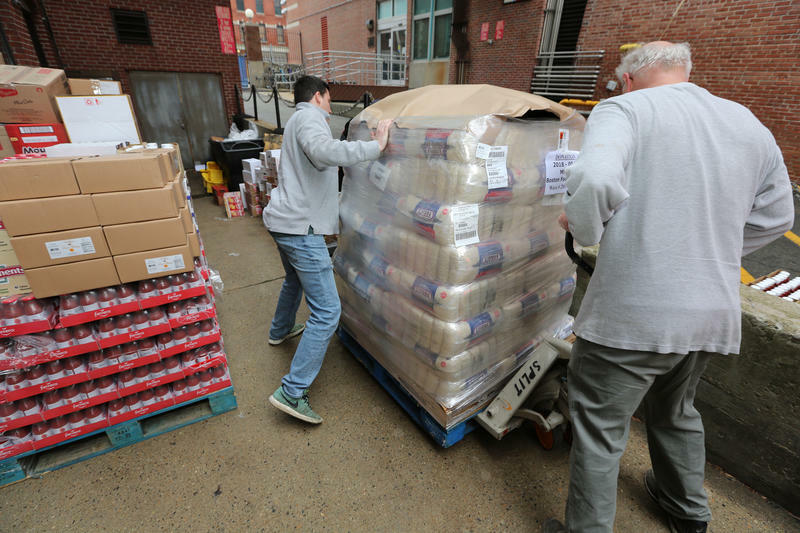 But so are some efforts to help the hundreds of thousands affected by the ongoing shutdown — including about 8,000 in Massachusetts. In Boston this week, a pop-up food pantry opened for men and women of the Coast Guard, the only branch of the armed services working without pay. 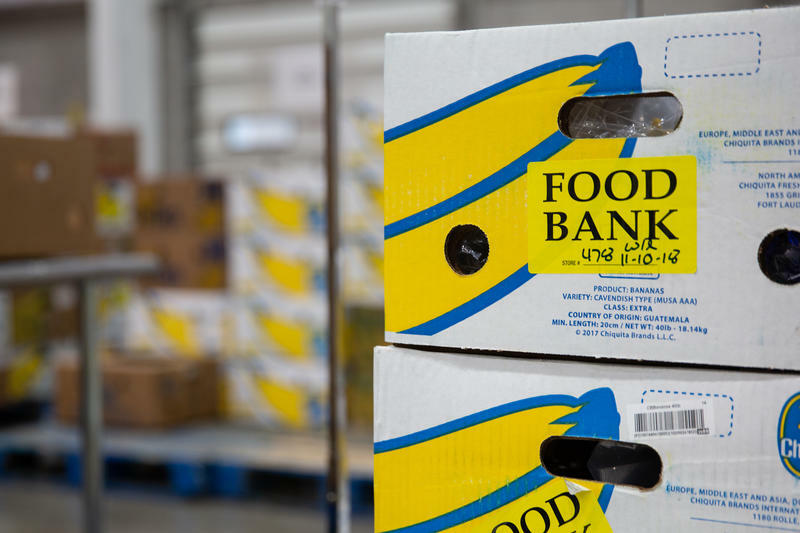 Senior citizens and residents living below the poverty line may soon struggle to meet their basic food needs because of the government shutdown. Massachusetts residents will see their income taxes reduced in 2019. While it amounts to hundreds of millions of dollars collectively, it's probably not much to individuals.